History: Little Bit is a small, black female. Her dam is TK Kiss That and her sire is Coldwater Torres. She was quite the little racer (134 races) at Palm Beach and Ebro. Her racing career ended in September 2013. All of her litter raced but she was the best. 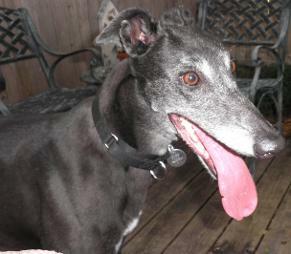 Little Bit went back to the farm to be a brood matron, but no offspring are recorded on Greyhound-Data. Little Bit (her name fits her) is a sweetheart and a great hugger. She already loves to play with squeaky toys. She seems to be adapting to home life easily. Little Bit went to her forever home with the Bloomer family. Congrats to all! 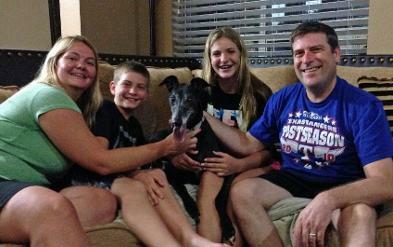 August 13, 2014 update: Lil Bit was adopted to her lifetime home with the Bloomer family. Congrats to all. 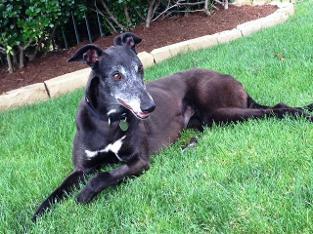 July 12, 2014 update: Lil Bit is the sweetest little greyhound girl you may ever meet. 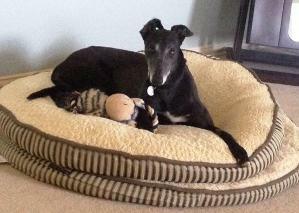 Lil currently lives in a home with a 7 year old girl, whom she adores. 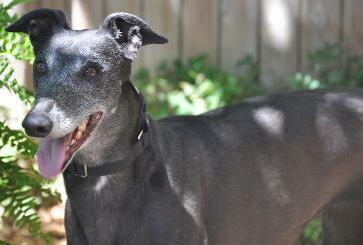 Lil has a very sweet and playful personality, and has proved to be a great companion dog. She is quite content to spend the evenings curled up next to you watching tv. She also loves a good squeaky toy – she is quite the character in the backyard with her toys, tossing them up in the air and catching them. 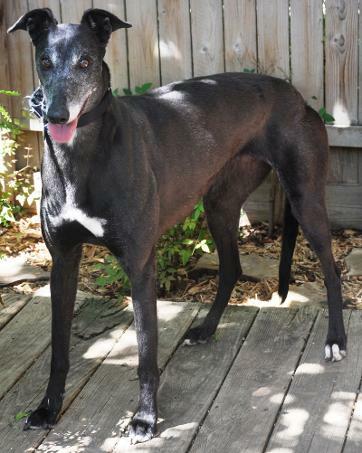 Lil is currently living in a home with another greyhound, and appears to get along with other dogs she has the opportunity to meet. Lil crates well during the day, on average 10 hours/day. She also does well uncrated for shorter periods of time (4-5 hours). Lil loves a good dog bed, and quietly curls up around 9 p.m. every night in the master bedroom, and you won’t hear a peep out of her until you are ready to wake up the next morning….usually around 7 a.m. during the week and 8-9 a.m. on the weekends. 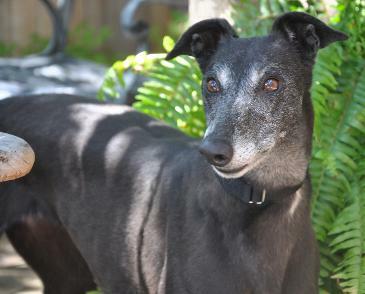 If you are looking for an ‘easy’ dog, this sweet Lil Bit may be the perfect girl for you. 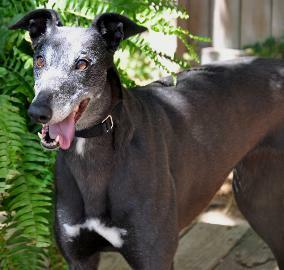 April 20, 2014 update: Little Bit came to TAGS for a life of retirement and to find her loving lifetime home.